Bristol’s Colston Hall is to change its name to avoid “toxic” historical associations. But what is the history behind YOUR local venue? Bristol’s Colston Hall venue is to change its name when the new, renovated building opens again in 2020. The venue opened in 1867, but the owners announced this week that the name Colston is “toxic”, as it refers to the MP Edward Colston, who made most of his fortune from the slave trade. Wembly is an old, old name. “Wembley” comes from the Old English name “Wemba”, combined with the word “lea”, meaning meadow and the land also plays host to the iconic Wembley Stadium, first founded in 1923. 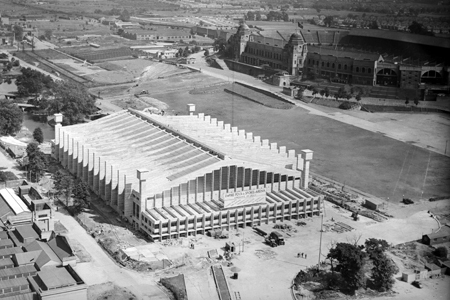 The indoor arena in North London opened as the Empire Pool Wembley in 1934 for the British Empire Games and the actual pool was last used for the Olympics in 1948. 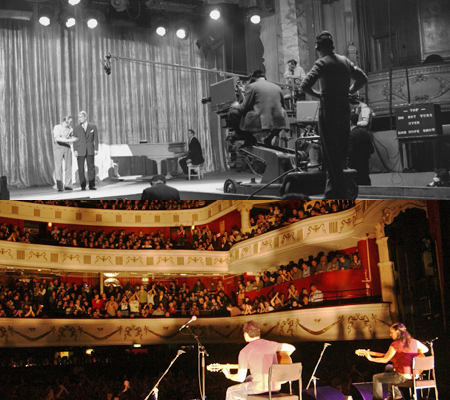 The venue became known for conferences and gigs, including the final UK appearance by The Beatles at the NME Poll Winners Show in 1965 and continues to host live shows after a renovation in 2006. It was an actual corn exchange, of course! It was a location for merchants to trade in the town between 1875 until 1971, as well as holding other events like sports and even a motor show. Pink Floyd founder Syd Barrett played his last live show there in ’72. This much-loved South London venue started out as a cinema, The Astoria, in 1929. It stayed that way until 1972, when the films stopped and the music started with the launch of the Sundown Centre, a rock venue which only lasted a few months. It was nearly knocked down in 1974, and briefly re-opened in 1981 as The Fair Deal, before being bought by entrepreneur Simon Parkes in 1983 for just £1! He re-opened the venue as Brixton Academy and it’s been a huge success ever since. It’s now part of the Academy Music Group set of venues. 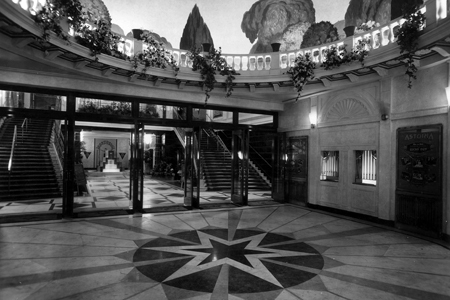 Here's a lovely shot of the original foyer when it opened in the summer of 1929. “KOKO” is a recent invention - the venue opposite Mornington Crescent tube station in London only became known by that name in 2004. It started life as The Camden Theatre in 1900, started showing films in 1913 and managed to survive the war. 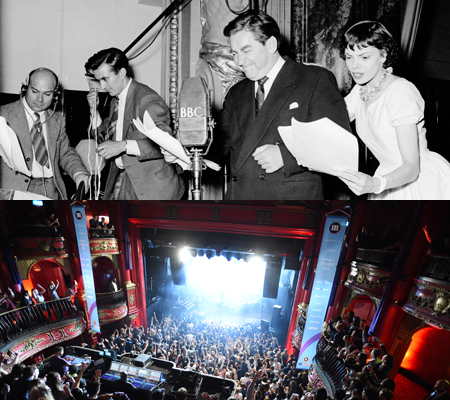 In 1945, it became the BBC Radio Theatre, with programmes like The Goon Show and Hancock’s Half Hour being taped there and it was where Monty Python recorded their first album. In 1977, it became a music venue again, The Music Machine, before becoming the Camden Palace in 1982. 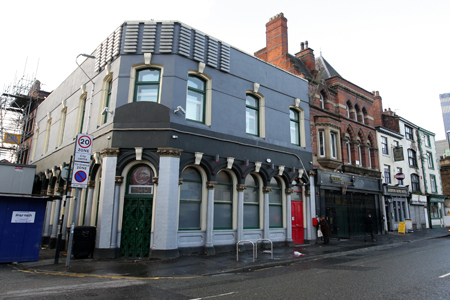 A Grade II listed building that was built in 1877, this venue really WAS a place for the local deaf and mute citizens of Manchester to meet, learn and enjoy entertainment. It was turned into a music venue in 2008. Built in 1913 and named after Simon de Montfort, Earl of Leicester. He led a rebellion against King Henry III, but was killed after just a year of rule. He’s credited with founding modern democracy, so that’s nice. The building on Swan Street in what’s now known as The Northern Quarter was originally a pub called the George And Dragon in the early 1800s, but the music began to take hold in the 20th Century. The venue got its nickname in 1937 from the tiny stage that was located high up on the wall for the musicians to play on. The club was given its official name in 1975 as the location re-opened as a jazz venue, before it became a host for many punk bands from the city, including Joy Division. It’s been a stalwart of the Scottish music scene since February 1990, but this venue took its name from another club - a comedy and music location in the Lower East Side of New York City in the 1980s. In 1993, it was the place where Alan McGee first saw Oasis… and subsequently signed them to his Creation Records label. Another former cinema, opened in 1934 and closed in 1970, after which it became a dancehall with the same name. 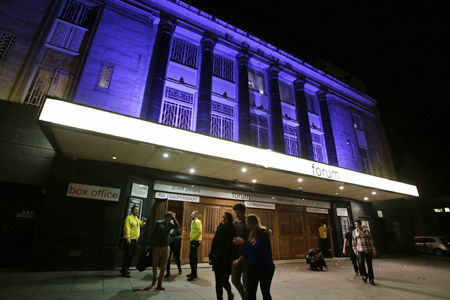 In 1985 it became a venue and continued to book legendary acts like Paul Weller, Blur, Radiohead and the Pixies until 1993, when the name reverted back to The Forum - it’s now part of the Academy Music Group. 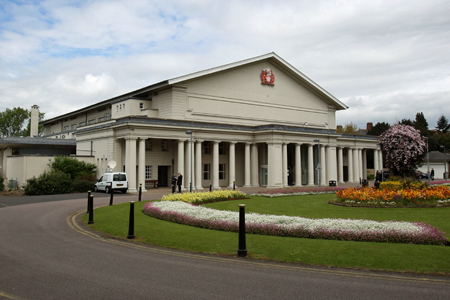 The arena and exhibition centre in the North West city is another venue that has returned to its original name. It was originally Manchester Central railway station, serving London St Pancras, Liverpool, Leicester and other destinations between 1880 and 1969, when the station was closed. After spending the 1970s as a car park, it was redeveloped and opened as G-Mex - the Greater Manchester Exhibition Centre, where it played host to bands like New Order, Happy Mondays, Oasis and U2. 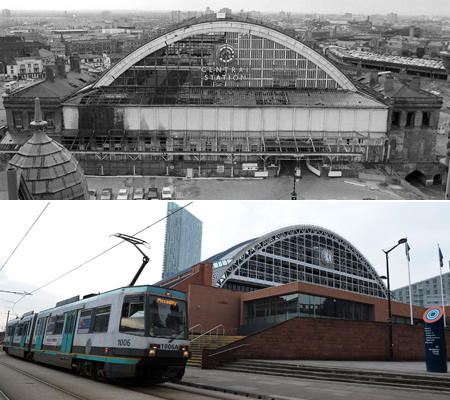 Its name returned to Manchester Central in 2007, where it now hosts gigs and conferences. This ornate venue in the city was opened in 1908 as the Digbeth Institute, before becoming a government building in 1955. The Civic Hall started to host jazz gigs in the late 50s, and was refurbished in 1998 as The Sanctuary club. The downstairs bar became the Barfly in 2005, and both venues were bought by MAMA Group in 2008. 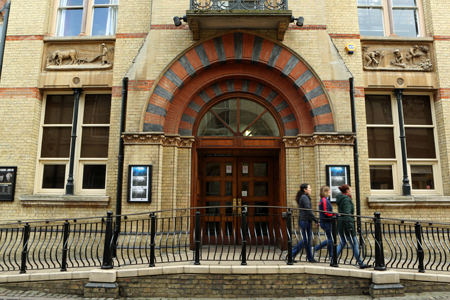 The venue became the HMV Institute in 2010, but was bought out by Live Nation in 2015, upon which it finally became the Birmingham Institute. Phew! Another cinema, named after its Shepherd’s Bush Green locale, which opened in 1903. It narrowly missed being bombed in the Second World War before being bought by the BBC in 1953, who renamed it the BBC Television Theatre. Thousands of TV shows were broadcast from the venue, including The Generation Game, That’s Life and endless editions of Wogan, until the company sold the building in 1991. In 1994, the building reopened under its original name and started holding live shows. It’s now owned by the Academy Music Group.